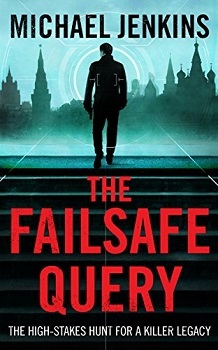 Sean Richardson is an Ex British Intelligence Officer who is tasked with finding out if Iraq has weapons of mass destruction in the days after the terrible events that will forever be known as 9/11. The book opens in Moscow 2005 with a well orchestrated ‘drop off’, then jumps back in time to Central Asia 2001 where Richardson is protecting his informant General Yuri Yakubova of the Uzbekistan Army and gaining his trust by thwarting the first attempt on his life. The story is fast-paced in parts and unfortunately dragged a little in others due to the amount of detail explained and what sometimes felt like unnecessary filling. That being said, to those that love spy thrillers and read a lot of them this may be just what authenticity they require. This is a modern-day spy thriller and those that are old enough to remember the events it covers will be sucked in immediately. The plot takes us to multiple countries which we are informed of where and when at the beginning of each chapter, so thankfully I always knew where Richardson was and what time period. You can certainly tell from the writing that the author has first-hand knowledge of certain situations and the British government, as well as various countries and counter-terrorism. Overall I did enjoy it. It was eye-opening and certainly took me on an exciting ride and out of my comfort zone. I don’t know those books. Wonderful, my fingers are crossed for you too. Sometimes it’s great to go outside your comfort zone. Especially when you find something you enjoy. I like stepping out of my comfort zone. Unfortunately, the books always take longer to read when I do. Sounds thrilling! I love a good suspense read. Great review Stacey. this book and author are new to me I’m glad you fully enjoyed this book. Thank you so much for sharing your awesome post.